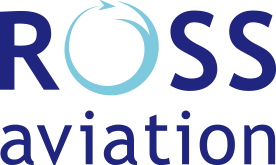 Ross Aviation is accredited to the ISO 9001:2015 Standard. Quality Control is an extremely important aspect of our service and as a result of purchasing the correct spares, our stock is largely either in New Condition with traceability to the OEM, or in New Surplus condition where spares are sealed in Original Unopened OEM Packaging with incoming trace. We always welcome any feedback that you as our customer can give us. This will allow us to alter any aspect of our service to further your needs and requirements. We also appreciate your time taken to complete any feedback.